When you go out to your vehicle, press the unlock button on your key fob and nothing happens, life stinks. The good news is that Enormis Mobile Specialties in Erie can make life smell like roses again. 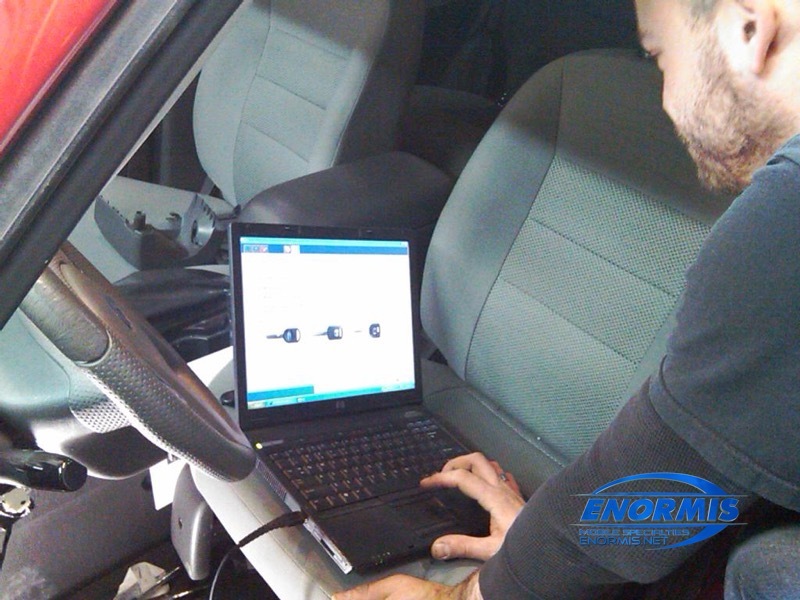 Our company specializes in everything related to the electrical system in your vehicle. While the remote control, keyless entry, key fob or whatever you want to call it is essentially a convenience item, we get used to having them. When was the last time you actually used your key to get into a vehicle? I am sure it was a long time ago, since walking up to your vehicle and pressing a button to unlock it, pop the trunk or open a door seems natural to us. Enormis stocks many of the remote controls for popular vehicles, so there is no reason to call the car dealer. We can save you time and money, fixing it faster and at a lower cost. Maybe your vehicle has an aftermarket remote control designed to operate a remote start or alarm system. We stock many of these remotes as well, so try us first. We can often get you back in working order quickly and painlessly. We have the GM, Ford, Chrysler, Dodge and Jeep dealer-level computers. What that means to you is anything they can do, we can do as well. If your key fob needs what people call a “dealer scan tool,” you are in luck – we have it. All of our technicians are MECP-certified. That stands for Mobile Electronics Certification Program, and it is the most advanced certification available. 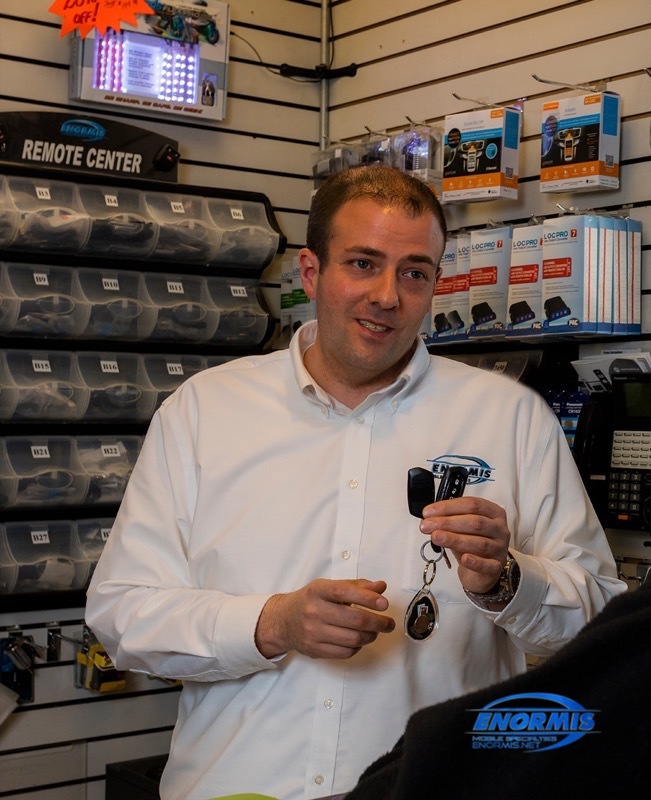 We are also an Alldata repair facility, meaning we have access to the same documentation as the dealer, including wire diagrams and programming instructions. 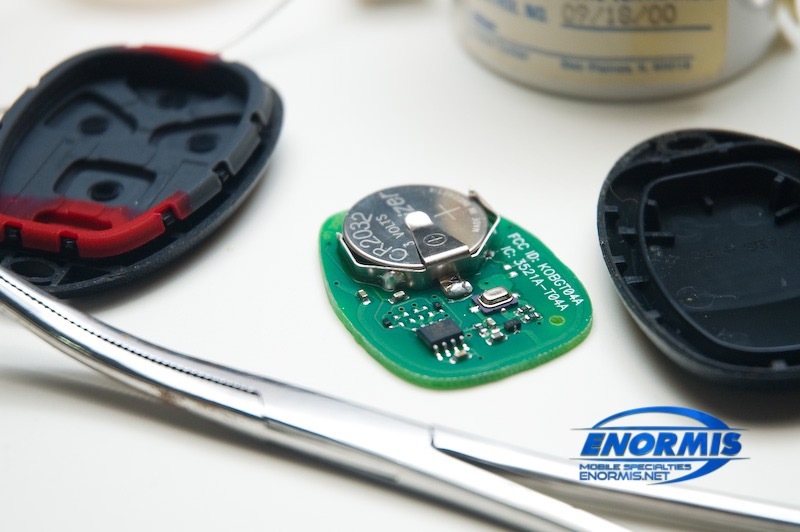 Since Enormis Mobile Specialties deals with remote controls on a daily basis, we know all the common problems. Our staff can identify and spot issues that most folks may not recognize, including whether it is transmitting or not. Even if you don’t have a LED that flashes when your remote transmits, we can diagnose it. When you come to us, chances are we have the replacement batteries in stock for your remote control. We can even test yours to determine if they need replacing. Why put up with this hassle any longer? And why go back to the dealer when we can properly diagnose and fix your remote control or key fob problem right the first time? Consider this your invitation to stop by Enormis Mobile Specialties in Erie today. Remember to bring those pesky remotes with you. We’ll have you back in proper working order in no time.